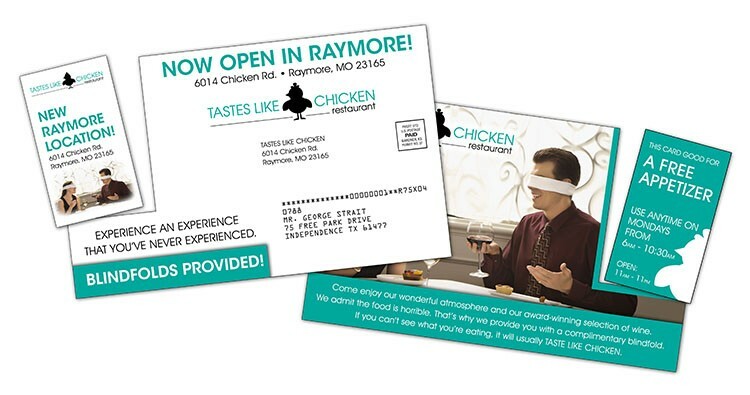 Sturdy laminated post cards are perfect for a highly visible, durable direct mail (or bulk mail) piece on a tight budget, now with a perforated detachable 3.5 x 2 business card! and postage are additional costs. 5.25 in. x 8.5 in. Price includes printing in full-color (four color process) on one or both sides. Metallic or fluorescent colors cannot be printed in full-color.